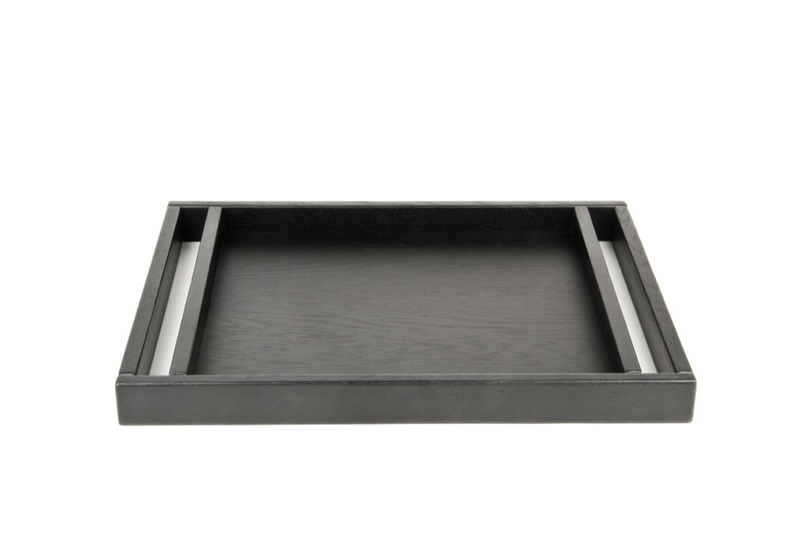 Service tray with comfortable self-adjustable handles. Natural or dark oak coming from harvested forests. Made in Germany for OBJEKTEN.